Shows the information regarding the support service. End of maintenance: support service end date. 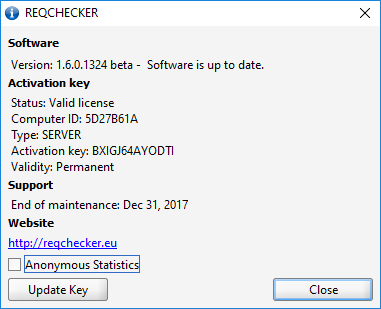 While service is active you can contact Reqchecker on-line support and install new versions. Anonymous statistics: enables sending anonymous statistics. Leave this option enable is recommended.